Brian Landis Folkins - "The BLF"
Brian has been obsessed with Cameras since High School. He has always combined his love for live music with his love for Photography and has been shooting concerts for over 10 years. The 1st show he ever shot was the Counting Crows on a roll of B&W film & ever since, he’s been hooked. Now Brian’s Portfolio contains some of the biggest names in the business. Most recently, Mr. Folkins shot The 3rd Annual Mile High Music Festival in Denver, Colorado (where he is based out of) & Lollapalooza in Chicago, IL. Brian is a freelance concert photographer for The Westword and is also a full-time actor working in both Theatre & Film which often allows him to travel nationally & sometimes abroad. Mr. Folkins keeps busy shooting Headshots, Weddings, Live Theatre, Production Stills, Events, and The Great Outdoors. Brian Landis Folkins is a man of many talents. When half of his face isn’t hidden behind a Canon DSLR, you might find him performing on stage, teaching, or balancing chairs on his chin. 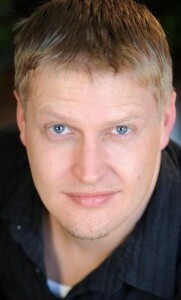 For more information about Brian, The BLF, visit his website at www.brianlandisfolkins.com.